Somewhere a woman is howling about the devil and lost change and her father who left her here sometime ago. Alone. Nina and I look up from making dough. We can barely hear ourselves think from her screams, “Get by me Jesus.” The shouting plops down right in the middle of the frigid night. 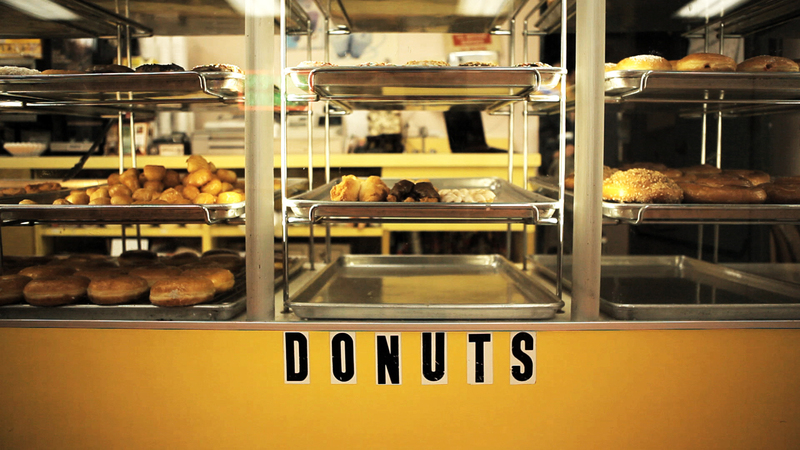 This is Bob’s Donuts, the place you go for a pack of smokes at 1 a.m. I’m one of two bakers. If that’s what you’d call us. My job is to create magic out of flour and water and whatever goddamned thing Raphael tells us. Yes. There’s no Bob. Bob died three weeks after opening the shop. His widow sold it to three middle easterners who turned it into bakery that failed, because someone found a middle finger in the mixer.